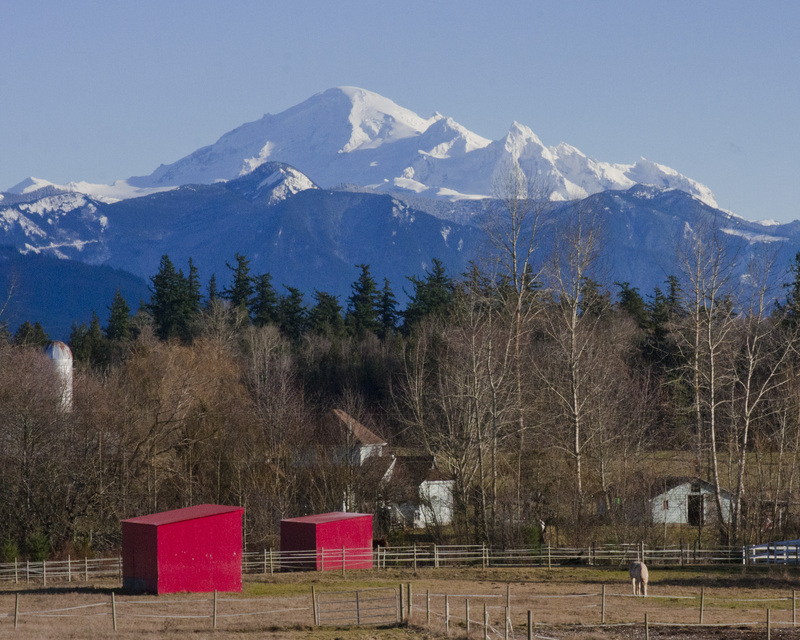 Yesterday I went in search of a great view of Mount Baker. After driving down many Whatcom County roads, I finally found what I was looking for! You wouldn’t know if from the picture, but I nearly lost some phalanges it was so cold outside! I can’t complain too much, considering half the country is buried under snow and ice, but I do need to find a good pair of gloves for these photo excursions. Next Post Next post: What to My Wondering Eyes Should Appear? Beautiful shot. Love the pops of red! The pops of red are my favorite part of the shot – thought it added a little interest. This is so beautiful! Like the majestic mountains with the foreground detail, and that pop of colour. I think you should do more landscape stuff. I’ve got warm, clammy hands – want to swop? Nice shot, poor little lama sitting there all alone…sniff. I know! He needs a friend. Nice shot of Mt. Baker. Your pictures make me wish I was still living in Bellingham. Thanks – you got some good mountain shots yourself this weekend! I think it’s hard to go wrong in the Northwest…there are so many beautiful places to live! Great shot of Baker. And the farm in the foreground. Thank you – that touch of red was a good find. This isn’t the best time of year for rich foreground color in front of Baker, so that helped add some interest I think. It is a beautiful pic, especially with all that snow falling across the screen. I laughed over ‘phalanges.’ It brought me right back to a skeleton we named ‘Melissa’ when my daughter was learning the bones.